In all actuality the title French and Indian war is rather misleading. The true war was being fought by the French and the British. The French and Indian war was a dispute over territories by the French and British, each switching upper hands on different occasions. In 1750 the British and French met to talk and try and work out a peaceful way to settle these land disputes once and for all but nothing could be resolved at that point in time. In 1752, the Marquis Duquesne, governor-general of New France gave specific instructions to take possession of the Ohio Valley and remove all British presence from the area. At the same time, Robert Dinwiddie, Lieutenant Governor of Virginia, was granting land in the Ohio Valley to citizens of his colony, thus setting the wheels in motion for the French and Indian War. Between 1754 and 1756 there was much military activity and tactical movement but no actual declaration of war until 1756. The British enjoyed swift and early successes and by 1759 the British had secured much of North America away from the French. Brigadier General John Forbes held a council at Fort Bedford with the Indian tribes of region to establish peace between the Native Americans and the British. When the French realized they would no longer have Native American allies, and their communication with Montreal was cut off with the capture of Fort Frontenac, they quickly abandoned Fort Duquesne, destroying the fort as much as possible in the process. At this time, the British controlled the upper Ohio Valley for the first time. The British victory in Quebec proved to be the turning point for the French and Indian War. In 1763, the Treaty of Paris relinquished all of North America east of the Mississippi, with the exception of New Orleans to the British. The French also turned over their claims of New Orleans and the lands west of the Mississippi to Spain, as compensation for Spain's surrender of Florida to the British. 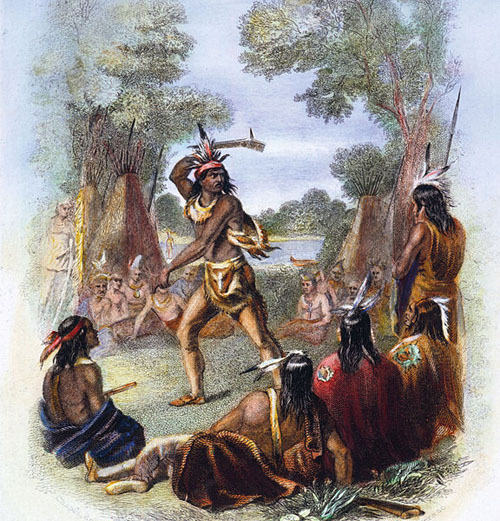 Though the European-based war ceased, the Native Americans remained hostile toward the British.